It’s been five long months since President Obama nominated Loretta Lynch to succeed Eric Holder as attorney general, and now that the appropriate political deals have been cut, her Senate confirmation was able to proceed and she was confirmed as the next Attorney General of the United States today. Her wait to be confirmed — 165 days — has been longer than the previous seven attorneys general combined. What gives? What else? Politics as usual on Capitol Hill. Senators have been deadlocked over abortion language in an unrelated human trafficking bill that had to be hammered out before Lynch’s nomination was able to get a vote. Figures. The delay on her confirmation had nothing to do with her qualifications. The 55-year-old Harvard graduate is widely recognized as the singularly most qualified person for the job in the country, with a spotless record on prosecuting terrorism, corruption and civil rights cases and a low-key, likable demeanor. President Obama called her “tough, fair and independent” and also a “charming people person.” And she has plenty of bipartisan support, including from Republican stalwarts like Lindsey Graham and Orrin Hatch. Lynch is the first African-American woman to serve as the nation’s top lawyer and law enforcement official. And that’s a huge deal. Lynch’s confirmation is a huge deal because it sends a critical message to black Americans that law enforcement agencies are being watched at a time when Americans are shocked almost every week with another headline showing police murdering African-American men in the streets with no justice or oversight. Just this week a group of black men representing clergy, Alpha Phi Alpha and Omega Psi Phi fraternities and members of 100 Black Men of America met with senators to demand a vote to confirm Lynch to attorney general. 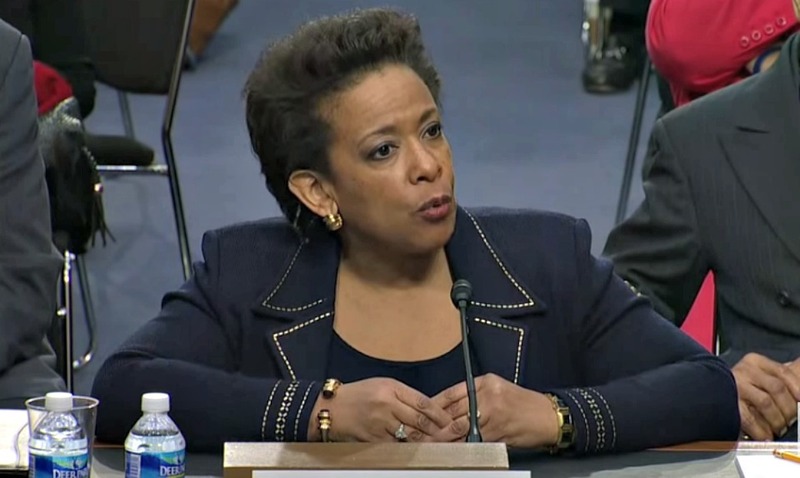 Lynch’s confirmation is a huge deal because the U.S. Justice Department has work to do on issues related to terrorism, public corruption, white collar crime and voting rights — issues Lynch plans to oversee directly as attorney general. And Lynch’s confirmation is a huge deal because just like other groundbreaking, pioneering women leaders in public service before her — from Sandra Day O’Connor to Margaret Thatcher — she’s showing our girls that becoming attorney general is possible. It’s a dream they can dare to dream. You might have to wait a little longer than the boys to get there, but baby, the wait is worth it. Congratulations, Loretta Lynch! Now get to work. We need you now more than ever.